InstantPHR® connects to broad selection of health apps, wearables, and devices to optimize user experience. 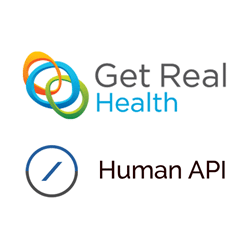 Get Real Health announced today a new partnership with Human API to create a more personalized, data-oriented experience for InstantPHR® users. With this partnership, users of Get Real Health’s flagship product, InstantPHR®, will be able to securely share their health data from over 70 of the top wearable sensors, wireless scales, mobile apps, and blood glucose monitors. For example, a Fitbit user will be able to stream their data from their device to InstantPHR® in near real time – providing a central storage location for that data which can be shared with whomever the user chooses, including his or her healthcare provider. Users can easily connect devices through the intuitive Human Connect authentication flow embedded within InstantPHR®. Furthermore, Get Real Health can instantly tap in to all of these data sources with one simple connection, rather than having to integrate with each of the sources one-by-one. Human API is the easiest way for applications to integrate health data from anywhere. A fast growing list of health IT vendors, health systems, wellness companies and startups are building the next generation of data-driven healthcare applications on Human API’s unique data platform. Backed by Andreessen Horowitz, Eric Schmidt and Blue Run Ventures, Human API is opening the world of health data to make it more meaningful and actionable. To learn more about Human API, visit: http://www.humanapi.co.